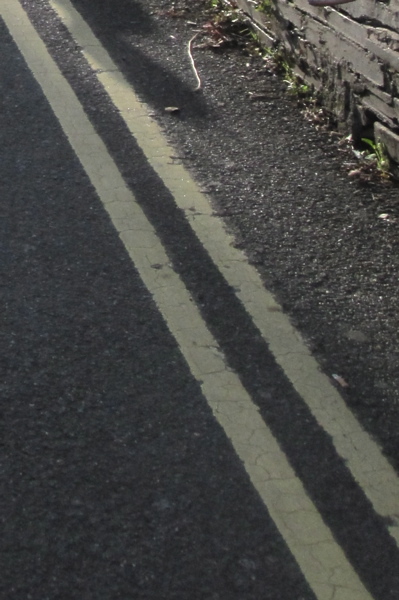 Cambridge City Council’s £2,000 for a short stretch of double yellow lines on St. Margaret’s Square makes a small contribution to the over £20,000,000 annual national cost of publishing highways notices in newspapers. Using the Freedom of Information website WhatDoTheyKnow.com I asked my local Highways Authority (Cambridgeshire County Council) and the Highways Agency how much they spent publishing statutory notices in newspapers last year. £3,340,426.53 was spent by the Highways Agency on placing statutory notices in newspapers in 2008/9. £95,632.50 was spent by Cambridgeshire County Council on placing statutory notices in newspapers in 2008/9. There are 172 Highways Authorities in the UK *. I have no reason to believe Cambridgeshire is anomalous and if all spent at the same rate as Cambridgeshire together they would have spent £16,448,790.00 on statutory advertising in 2008/9. Other bodies including Transport for London and the Welsh Assembly Government also spend money on placing notices in newspapers. I believe that almost all this money could be saved if the law was changed allowing notification of works to be made online. I think this change would result in massive savings, and provide an enormous improvement in service. It is currently very difficult to find a notice you are interested in if you have to locate a specific back issue of a local newspaper. An online database would be much easier for the public and authorities to use. Legislative changes would I believe be required for this change to take place. My interest in this subject was piqued when I attended Cambridge City Council’s East Area committee in on the 8th of July and observed city councillors approve the spending of £2,000 for a short stretch of yellow lining on St Margaret’s Square (off Cherry Hinton Road), almost all the money was to go towards the County Council’s advertising costs and not much towards the yellow paint itsself. I would be shocked if anyone actually affected by the change was made aware of the proposals as a result of the statutory advert in the paper. Another simple target for reducing advertising spend at the same time as improving communication and the service provided would be to advertise public sector jobs online on a central website rather than paying for commercial advertising. The associated culture change in recruitment might have far reaching benefits way beyond merely the savings in advertising costs as a result of increased openness and transparency. In 2008/9 Central Government spent at least £540 million on advertising and marketing, the costs across all levels of government and the public sector are almost impossible to determine given the current lack of transparency in the way the UK is run, but are likely to amount to many times that figure. This evening Newsnight led with a speech by David Cameron in which he said: “With the Conservatives the cost of food and drink in Parliament will be increased to match the prices normal people pay in cafes restaurants and bars around the country”. He went on to outline £120,000,000 of savings. Had he suggesting tackling government advertising he could have significantly increased his headline figure. These figures all pale into insignificance when compared to size of the national debt and the costs, and billions of pounds of potential savings presented by ID cards, the welfare state, and, from a national rather than merely governmental, perspective – the long term potential savings in the costs of gas and oil which could arise from investment in nuclear, wave, tidal and wind energy. As we move into an era where public sector spending has to decrease (due to the level of debt the Labour Government amassed with little to show for it) I think it will be important to keep up investments in areas such as transport, education, tourism, and digital infrastructure which will enable the country to prosper in the long term. This entry was tagged Energy, NO2ID, Public Money. on September 9, 2009 by Richard Taylor. Do we know if any of the £3.3m plus £96k were reimbursed by other organisations – e.g. a utilities company paying the County Council for a road closure, with their payment including the statutory advertising costs? If so, some of the savings that would come from a change in the law would not directly benefit the State. More worryingly, I do hope that the costs you discovered via FOI are not net figures – i.e. after deducting such reimbursements. If that were the case, the real amount spent on advertisements could be much higher. While I agree that the adverts are not very effective, it is still the case that a third of the population don’t have access to the internet. The other thing to consider is that, while this isn’t the purpose of these adverts, they quite possibly keep the papers in business, and local papers are an important part of local democracy that is already under huge pressure. Funding papers by the back door is not the best way to do it, but it may be the only thing between having a local paper and not for some at present. An even lower fraction of the population read their local paper; never mind read the small print of the statutory adverts or have easy access a back issue from a couple of weeks or months ago. Even if an individual doesn’t have internet access I think publishing information online makes it more accessible to them than publishing it only in a local paper. I think local papers, and local online media, can be commercially viable propositions. We certainly shouldn’t be supporting them in a backhanded manner through statutory notices. I think local news, coverage of councils, local arms of the state, courts etc. is crucial but would not support this kind of subsidy. Opening up the these currently secretive organisations so that information on their activities is easily open to all, including the local press, would reinvigorate local news coverage. In terms of job adverts I just came accross this spreadsheet on WhatDoTheyKnow which shows Kings Lynn Borough Council spent £27,605 advertising jobs in the Cambridge Evening News in 2007/8 that may give another taste of how significant these funding channels are. There is a clear opportunity here to both save a large amount of money and significantly improve communication. Are you aware that the Highways agency spends £3,340,426.53 a year on those adverts which you rightly say those interested and concerned are unlikely to see? Local highways authorities probably spend many times that amount, I estimate £16,000,000. There is a clear opportunity here to both save a large amount of money and significantly improve communication; a web-based system would cost a tiny fraction of the sums currently being spent. Even if people didn’t sign up for email alerts themselves their elected representatives, local papers and local bloggers probably would and information about proposed works on roads would be more effectively communicated. I am not one of your constituents. Thank you for your email regarding my speech in the House over the matter affecting constituents and the Highways Agency. I share your views about advertising, and if you have not already done so you may wish to contact your own MP. Council advertising must be placed in The News unless there is a legitimate reason for placing the advertisement in another publication, for example, direction in law on where the advertisement is placed. Public notices are charged per single column centimetre. Council public notices must be published in The News unless there is a valid exemption, such as having to appear in consecutive weekly publications. This is a policy decision by the council and finance will block any attempts to place advertisements or public notices that qualify for The News in any other publication. to save money, can we not make a rule were we can park on yellow lines and not park were there are not yellow lines as there are less parking spaces on the roads we would need to spend less money on yellow lines. also, the highways need to look into the on-way traffic issues, so many on-way roads are out of date were vehicles have to use, example, were I work, I have to drive 2.2 mile on a on-way road to get to and exit which is 0.2miles by my work place. just think of the fuel costs and damage to the ozone that the out of date on-way systems are causing. If your workplace is 0.2 miles away, why aren’t you walking or cycling there? Just think of the “damage to the ozone” you are doing!